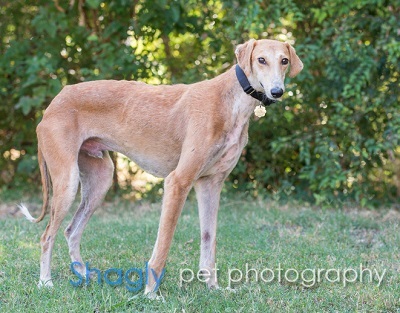 Peanut is an approximately 2-year-old red fawn male Saluki mix. Peanut was found as a stray in the same area as Trooper. He has tested positive to the tick-borne disease Ehrlichia Canis and has started treatment with antibiotics. Peanut has passed an initial cat test, but has not yet lived with cats. Peanut has a fungal infection all over his body. He has started antibiotics as well as medicated baths. His skin is very crusted and red, and some areas are very swollen. Peanut and Trooper were found in the same areas of Fort Worth, and both are suffering from the same illnesses - fungal skin infections along with Ehrlichia Canis. Peanut's fungal skin infection is all cleared up with proper medications. 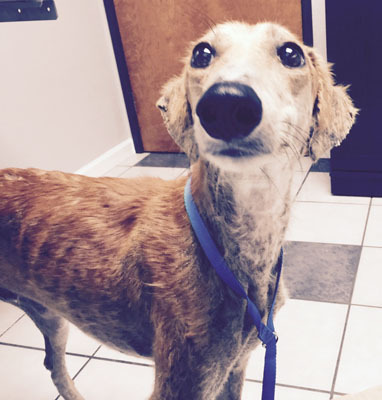 He is scheduled to be retested for his Ehrlichia Canis by November 16, 2015. Peanut has tested negative to Ehrlicha Canis and has completed his medical procedures. He's ready to find his forever family! The special medical treatment cost needed by Peanut is why the Miss Mesa Fund was established. If you would like to help with Peanut's care, please take a moment to make a donation to the fund. 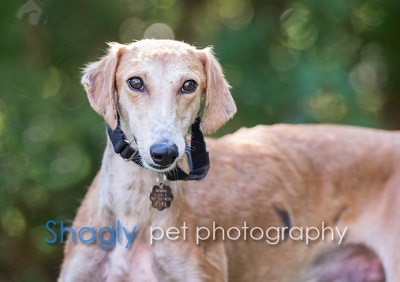 You WILL and CAN make a difference in Peanut's life and the lives of other greyhounds in need of special medical care. Your help and support will make a difference - one greyhound at a time. Please note Miss Mesa Fund/Peanut on your check.